The quarterback situation has created a big a divide in the Seminole Nation. Since spring, FSU fans formed three camps: Team Frenchie (Deondre Francois), Team (James) Blackman and the (Bailey) HockmanHive. 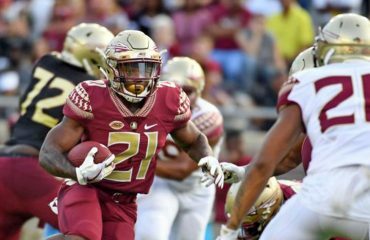 Throughout the summer and leading up to the end of fall camp the media speculated about who would win the starting job; fans entrenched themselves around their favorite to lead FSU back to prominence. Ultimately, fans trusted Willie Taggart’s process for picking a starter which eventually landed upon Francois. All reports were that he was back to his old self and maybe even improved after suffering a season-ending knee injury in the 2017 season-opener. 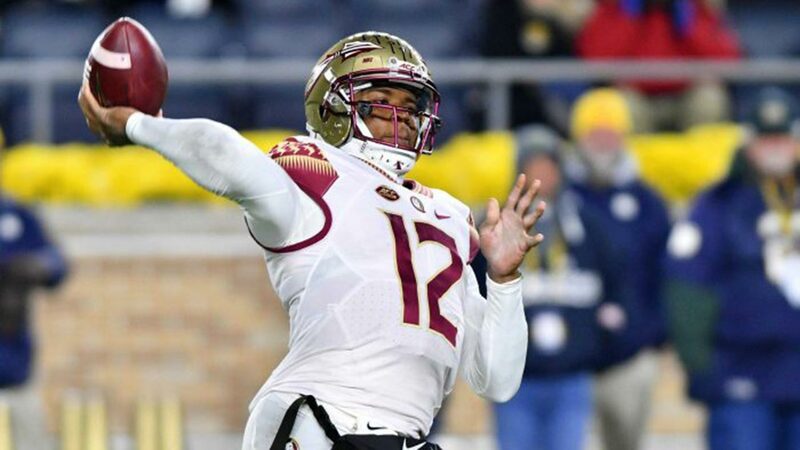 Fast forward to now and nothing is settled within the fan base when it comes to the team’s quarterback situation, or Taggart for that matter. The quarterback question is even more confusing and divisive than it was at the beginning of the season. Much of this has to do with Taggart’s “Lethal Simplicity” offense not showing up in terms of stats, wins or the eye test. FSU has struggled offensively against average teams and imploded against superior teams. The offense has looked slow, confused, poorly coached and generally inept for the vast majority of the season. Many factors have led to this including numerous injuries to the offensive line. Add to that neither Francois or Blackman being able to run this offense the way it is designed at the QB position. Even more strange are rumors now circulating about the factors which truly influenced Francois being named starter and why he’s held on to the position despite his poor play. If true, the rumors are further evidence of how selfish the culture has really become at FSU. Many observers now believe that the off-season’s “open” competition was never really open at all. 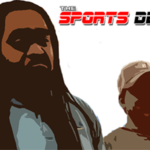 A sense has developed that the “competition” was largely a show, a façade created to appease the quarterback room. If you believe the rumors, concessions were made to Francois providing depth at the position in order to avoid a repeat of the 2017 season where there was only one option at QB after Francois’ injury. The speculation now is that both Francois and Hockman were transferring if James Blackman won the job. 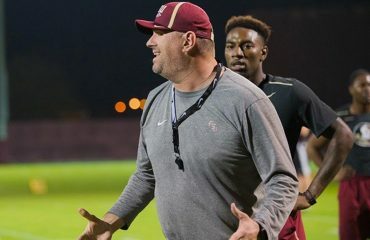 If Francois won the job, which he did, FSU only had to face one transfer – Hockman, who did leave – not two, which would have gutted the depth chart at the most important position on the field. I’m beginning to believe this was the case and can see the logic in it from the coaching staff’s perspective. Based on what we’d seen from Francois in the past, it was reasonable to believe that he would thrive in the team’s new offense. No one could foresee his significant regression. The safety net of having a proven backup should Francois suffer another injury makes a lot of sense too. With the offense continuing to fail behind Francois, Blackman has been receiving an increasing amount of love from fans. They’re fed up with what “Lethal Simplicity” looks like when Francois is at the helm and want to see what Blackman can do. Complicating the issue is a new NCAA rule that says players can appear in four games throughout the season while still having the ability to redshirt. Blackman played one snap against Miami, finished the Clemson game, played a little in the Wake Forest game and started the N.C. State game. His performance in the last two led many to believe he would become the permanent starter. FSU went back to Francois against Notre Dame and according to Taggart, unless something inexplicable happens, he will finish the season as starter. This has encouraged many people to believe that Blackman will end up redshirting this season. Rumors have it that this scenario is being pushed by the coaching staff for Blackman, which is probably not the worst thing for his career, except that it isn’t what’s best for FSU now and from all indications, Blackman is a team-first guy. Rumors are just that, rumors, but with the current climate of the program, every decision being made warrants questions. What have we seen from this team or coaching staff that would make folks consider this, or any decision, from Taggart the right one? Continued blowout losses. No semblance of an effective offense. Players being publicly accused of quitting by their head coach. A deteriorating defense. Abominable special teams … all of this is creating a growing instability that is corrosive for the health of the program. There are two things other programs don’t necessarily care about which FSU fans believe are a big part of their school’s tradition: 41 consecutive seasons without a losing record and 36 consecutive bowl appearances. Neither look attainable currently, but changing players at certain position groups, mostly QB, would give the fan base a glimmer of hope. If there’s even a shred of truth to the rumors about how the quarterback situation is being handled, it begs the question of “who’s really in charge of the program?” It’s the coaches’ job to dictate who plays and put the needs of the current team over anything else. If it’s true that Blackman has either requested to redshirt this season or Taggart is entertaining this on his own, or Francois threatened to transfer if he didn’t start, then a few things need to happen. One, FSU should entertain all graduate transfer opportunities at the position. Two, Class of 2019 quarterback commit Sam Howell should be given every opportunity to start as a true freshman. 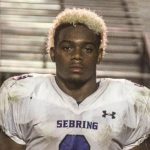 Three, another Class of 2019 QB should be recruited. If Blackman can’t challenge Francois now, then he’s not as good as anyone thinks and the future of the position might not be on this roster. 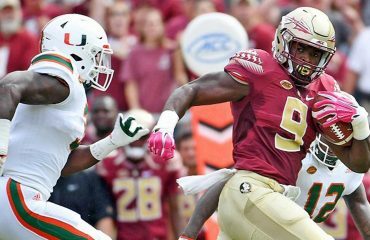 If there’s a push to redshirt Blackman because this is already a “lost” season, then it’s apparent that Taggart and the coaching staff – and players – don’t fully understand or appreciate how important winning is to FSU fans.